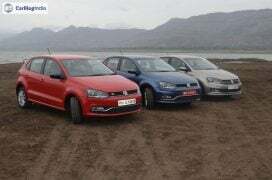 Volkswagen‘s answer to the rather invincible Maruti Suzuki Swift Dzire, the new Ameo is a Polo-based compact sedan that becomes the cheapest offering from the Volkswagen’s Indian subsidiary. 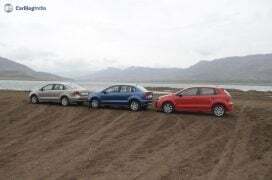 The Ameo has been tailor made to suit the ‘desires’ and ‘aspirations’ of a typical Indian lower-C segment car buyer. 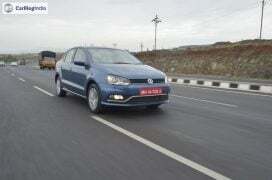 And while this new car has gone on sale at an ultra competitive starting price of roughly INR 5.15 Lakhs, the Ameo, in a manner typical of other VW products, comes across as a well engineered and designed car that has a touch of sophistication to it. 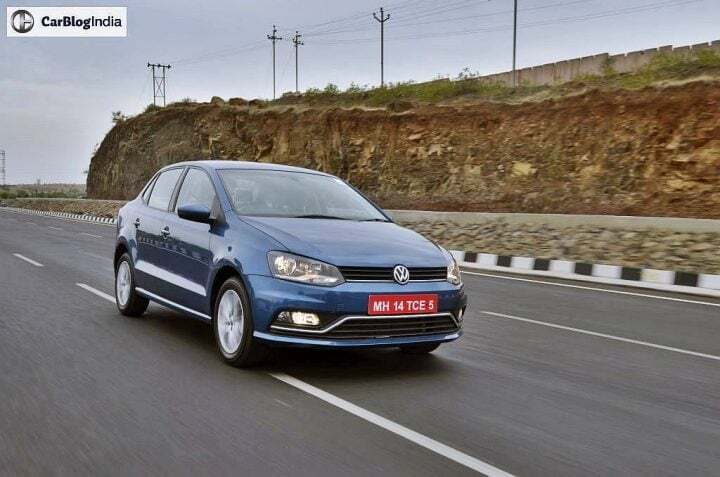 Read our Volkswagen Ameo Test Drive Review to find out what this new compact sedan from the German manufacturer is all about. 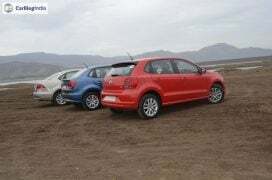 A Slightly Longer Polo or a Shorter Vento? 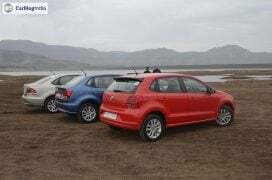 The Ameo’s price might undercut that of the Polo hatchback by a considerable margin, but for all practical purposes, the new member of the Polo family is a slightly larger-than-Polo product that finds itself slotted between its donor car and the full-sized Vento sedan. 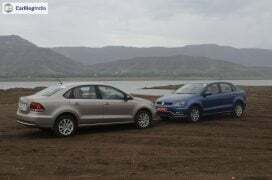 When parked alongside the Polo and the Vento, however, it doesn’t take much to realize that the Ameo is more of slightly longer Polo than a truncated Vento. 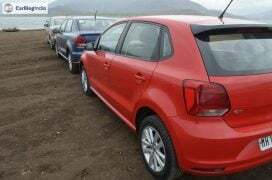 Except for an all-new posterior, there’s nothing much that differentiates the Ameo from the Polo, at least not at the first glance. 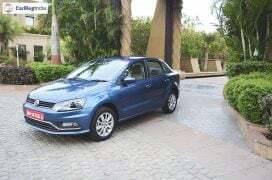 We’ve been told that this car’s designers cropped out a full 35 mm from the front of the Polo when deriving this car’s design. 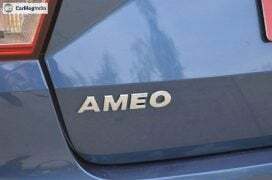 The end result is that the Ameo looks sufficiently proportionate. 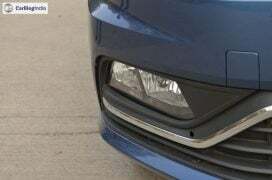 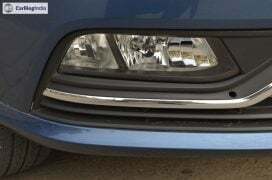 This, along with things like the slightly different grille and re-shaped foglamps, aren’t much to the Ameo’s nose look any different from that of the Polo. 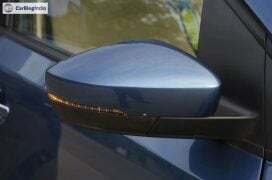 The rear-end, however, is where one finds most of the changes. 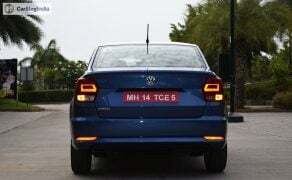 Now, we’ve always maintained that these sub-4 metre compact sedans don’t make for the prettiest of sights and hence, we never expected the Ameo to be any different from the entire crop of rather ill-proportioned designs that seem to be much of an ‘after thought’ than anything else. 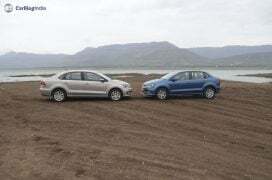 What this actually means is that with the exception of the Ford Figo Aspire, which is the only, I repeat, ONLY compact sedan that looks pretty pleasing to most, these sub 4-metre offerings don’t score much in terms of aesthetic value. 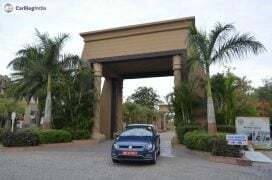 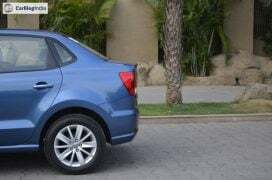 The Ameo, however, is surely among the better designs in its segment. 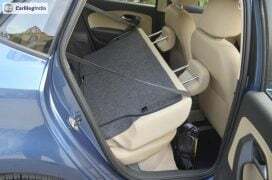 The design team led by Tilo Klumpp has rather successfully managed to integrate a boot seamlessly with the Polo hatchback. 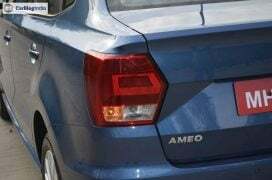 Also, thanks to the squarish taillamps, the chunky bumper, the Skoda-like surface treatment on the boot lid, the Ameo’s posterior has enough to hold your attention. 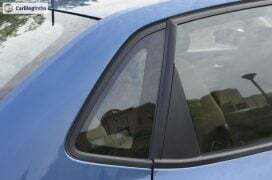 The interior is a reflection of the exterior, which means most of it comes from the Polo hatchback. 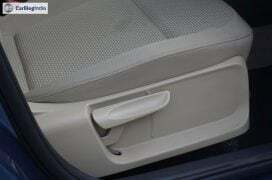 There are quality plastics all around and the entire setup feels solidly built. 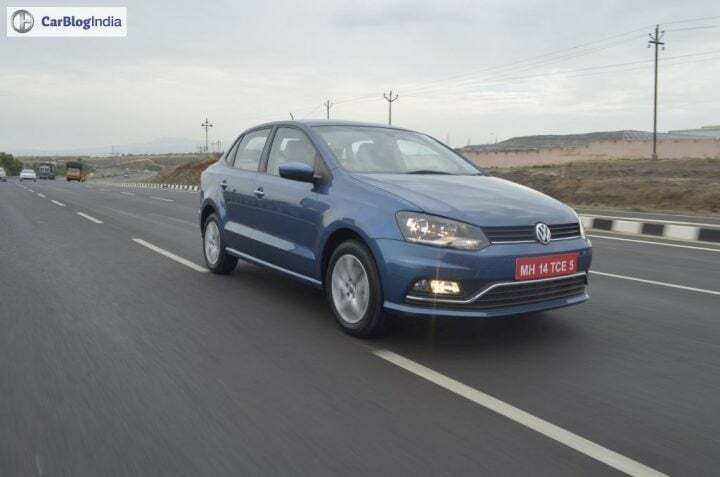 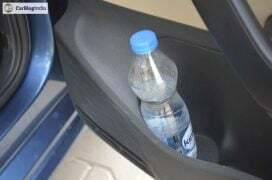 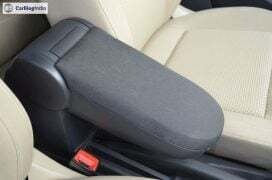 Everything is exactly like how it is on the Polo, which means that the well-built and pleasantly designed cabin has one big flaw- a cramped rear seat. 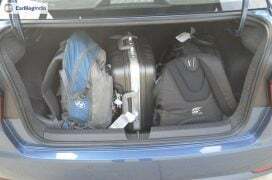 With tall occupants at front, it gets a squeeze for two to sit at the rear! 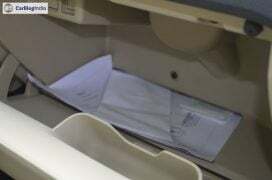 However, apart from this, it gets really hard to point out the negatives of the Ameo’s cabin. 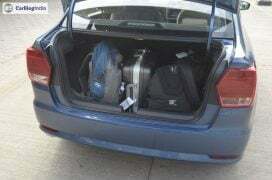 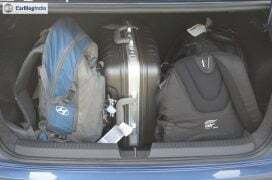 Even the boot space, at 330 litres, is significantly larger than the Polo’s and can easily hold the entire luggage for a weekend family trip. 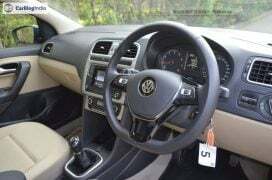 Thanks to bits like the quality of materials, the build quality, the design, things like the flat-bottomed steering wheel, the Ameo’s interior scores pretty well in spite of a cramped rear. 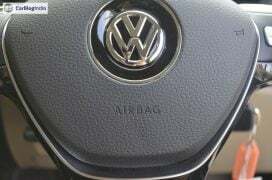 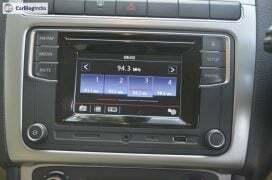 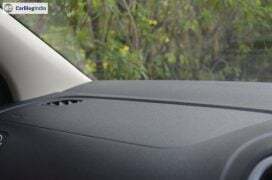 Among the highlights of this new Volkswagen is its rather long features list- you get features like cruise control, auto-dimming rear view mirror, cooled glove compartment, rear aircon vents, touchscreen infotainment with rear parking sensors and camera and one-touch up/down for the front power windows. 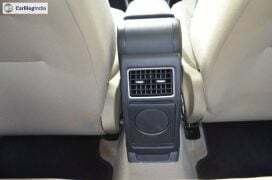 All of this in a car of this price and segment, and you’re looking at serious value-for-money here. 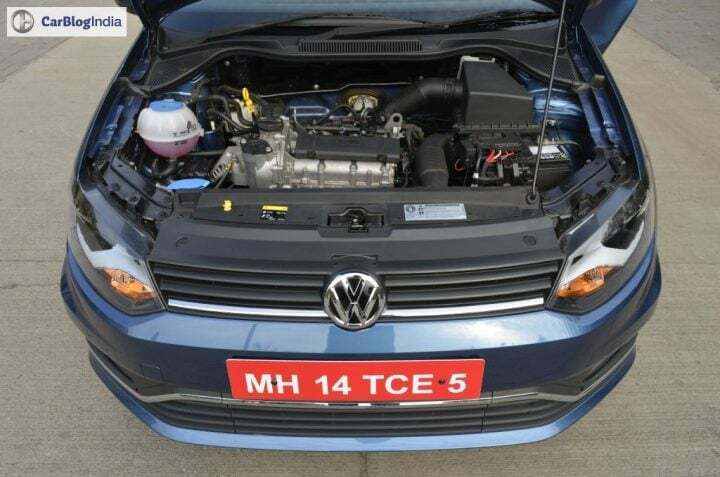 The Ameo has gone on sale only in two engine variants- a 1.2-litre three cylinder naturally aspirated Petrol motor and a 1.5-litre four cylinder turbocharged Diesel engine. 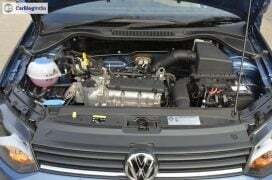 Both these engines come from, you guessed it, the Polo. 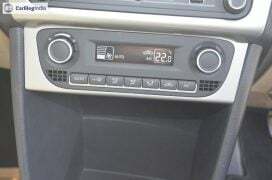 The Petrol engine puts out a max. 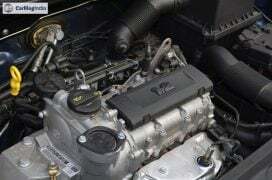 power of 75 PS @ 5,400 RPM and a peak torque of 110 Nm @ 3,750 RPM. 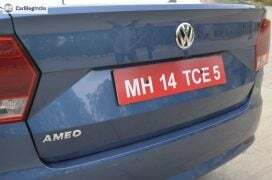 With such modest power figures, the Petrol-powered Ameo isn’t a really quick car, no, rather far from it. 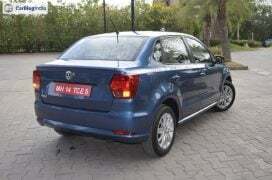 However, the torque spread is good and low- and mid-range performance is decent. 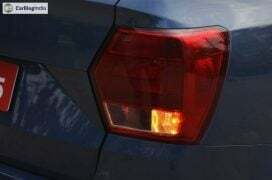 In city driving, the lack of outright power is hardly evident and there’s sufficient grunt to keep up with the fast traffic. 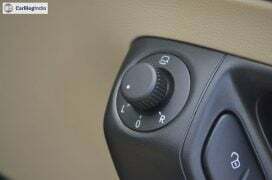 The engine comes mated to a 5-Speed Manual gearbox that offers slick shifts. 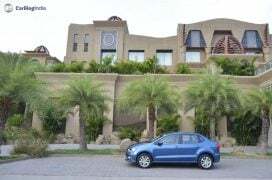 It is only out on the expressway that you could be left wanting for more. 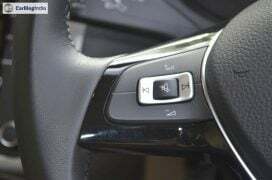 Overtaking fast-moving vehicles almost always requires you to downshift. 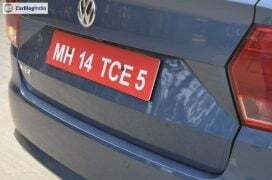 And while this car can cruise at 100 KMPH almost all day long, attaining speeds anywhere over 120 KMPH is a process that requires a really long and empty stretch of road. 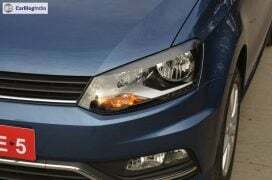 The Ameo won’t impress the speed junkies, but thanks to sufficiently high levels of refinement, reasonable fuel mileage and good bottom-end grunt, the new VW makes for a good entry-level family sedan. 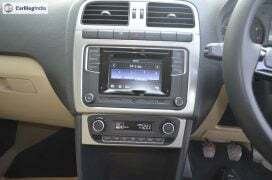 Talking of the fuel mileage, the Ameo 1.2 MPI boasts of an ARAI-rated fuel mileage of 17.83 kmpl. 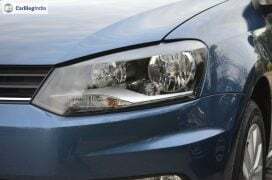 While the Petrol model leaves us wanting for more, it’s the oil burner that easily impresses the performance junkie in us. 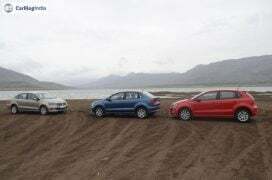 VW is offering the 1.5-litre Turbo Diesel variant with both 5-Speed Manual and 7-Speed DSG Automatic transmissions. 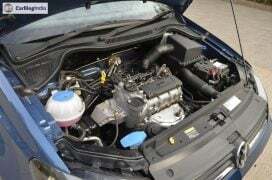 The engine outputs a very healthy 108 BHP and 250 Nm. 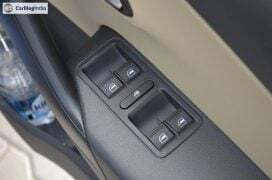 We drove the automatic model, which happens to be the only Diesel-powered compact sedan that features a Dual Clutch Transmission. 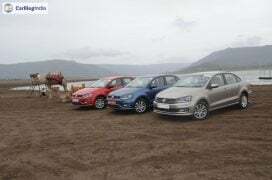 We’ve always believed that VW’s TDI engines and DSGs make for really good companions, and the Ameo’s Diesel engine and DSG combo goes on to reaffirm this belief of ours. 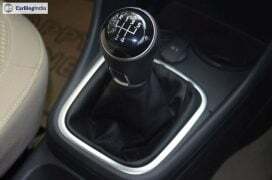 The gearshifts are very smooth and almost seamless. 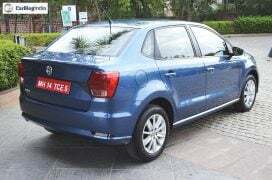 The Ameo Diesel loves to be pushed, and putting the pedal to the metal is a very rewarding experience. 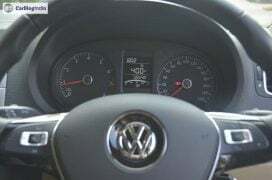 The automatic Diesel Ameo can hit the ton from standstill in less than 10 seconds, and even go on to achieve a top speed of more than 160 KMPH. 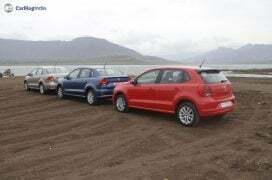 The Diesel variant is definitely among our pick of the two motors. 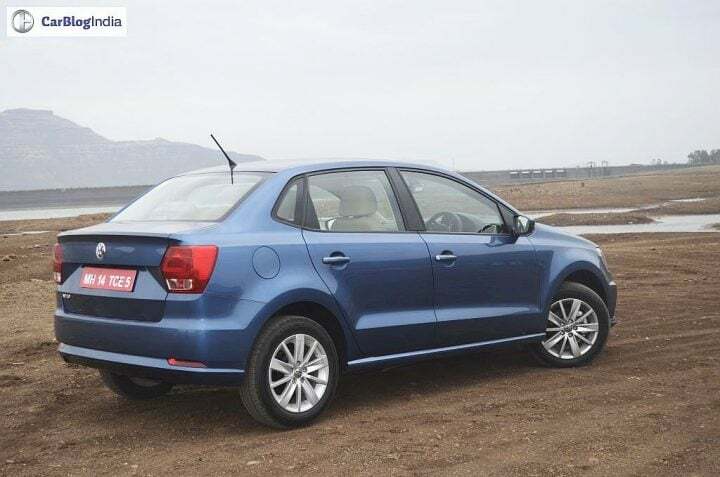 The Ameo shares its wheelbase and its suspension with the Polo, which means that the ride and handling manners remain almost unchanged. 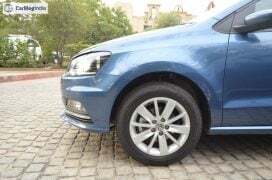 Much like the Polo, the Ameo gobbles up most of the undulations and the minor speed humps with ease and it is only the bigger craters that tend to unsettle this car. 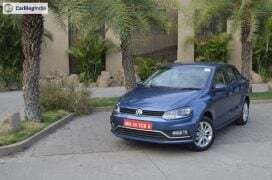 Around the corners, the new Volkswagen Ameo is a hoot to drive. 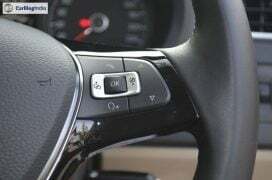 The steering, which is pretty direct, isn’t too light and offers enough in terms of feedback. 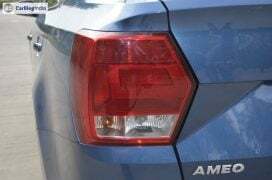 Also, thanks to the Ameo’s sure-footed nature, going that wee bit faster in the corners never gets unnerving. 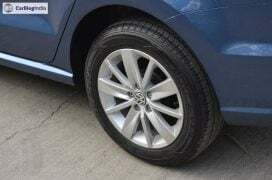 Even the high speed stability is fantastic. 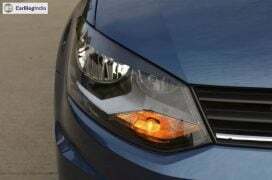 However, much like the Polo, there’s a slight body roll when tacking tight corners at fast speeds. 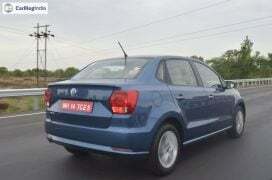 Also, unlike the Polo, which gets the grippy Apollo Alnac tires, the Ameo makes do with MRF ZVTVs. 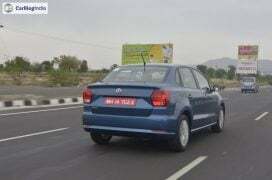 Overall, the Ameo impresses with its ride and handling manners. 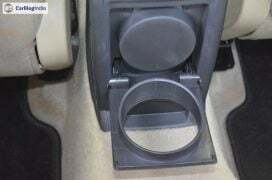 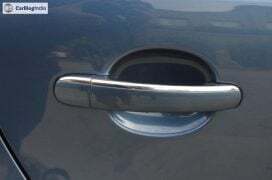 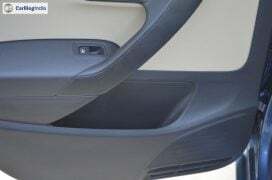 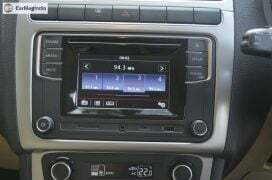 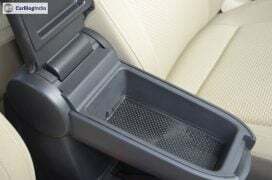 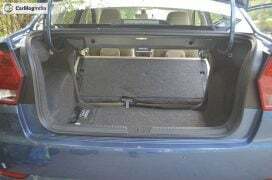 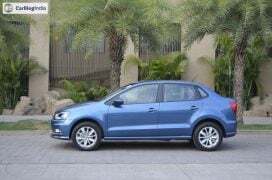 It ride and handles in a really matured manner, which is something that we have experienced on all VW cars. 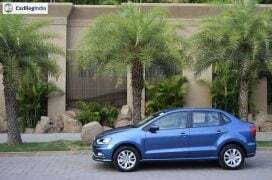 The Ameo is exactly what we expected it to be- a Polo with a larger boot and some additional features. 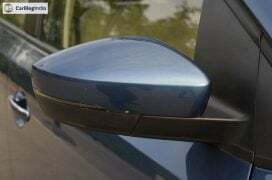 All this means that the Ameo comes across as a really well-engineered product that offers a good build quality, excellent ride and handling manners and a long list of features. 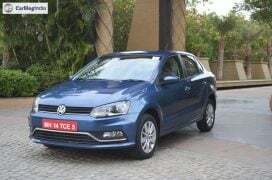 Also, the very likable 1.5-litre TDI Diesel motor, along with the 7-speed DSG, makes the Ameo Diesel a really fun-to-drive vehicle. 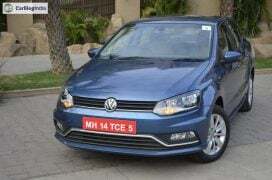 On the flip side, however, this also means that the Ameo gets to make do with the rather mediocre performance that the Polo’s 1.2-litre, three-pot petrol engine offers. 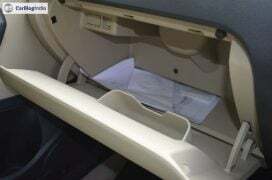 You also get a slightly cramped rear seat. 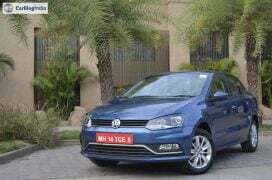 Still, at almost INR 40,000 cheaper than the Polo, the Ameo makes for a great value-for-money proposition. 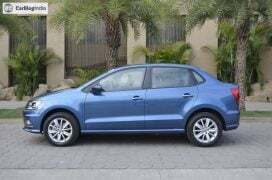 The new VW Ameo isn’t a cut-price Vento, but a slightly larger Polo. 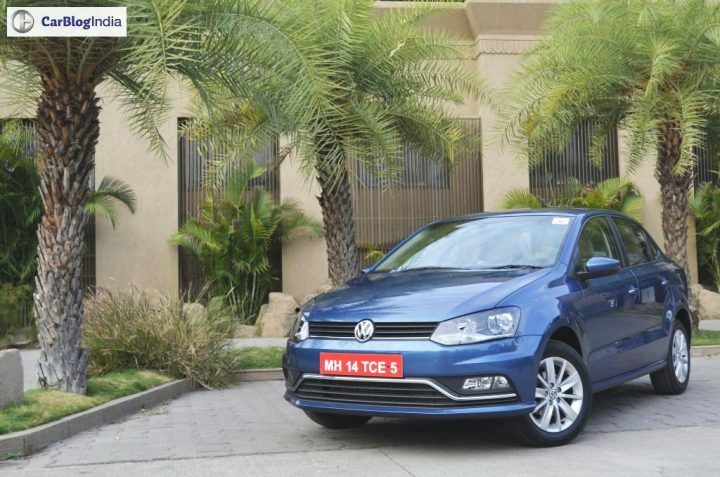 Yes, the new Volkswagen Ameo is perfect for those looking for a well priced compact sedan that is high on features, drives well and possesses all the virtues of a VW. 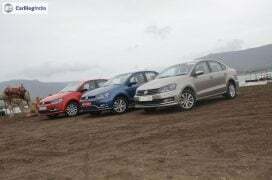 Stay tuned to Car Blog India for more posts like the Volkswagen Ameo Test Drive Review that we have here. 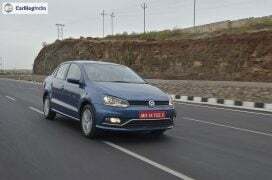 Also, what do you think of our Volkswagen Ameo test drive review? Do share your views by commenting below.